“Dragon’s Tongue” is one of the heirloom bean varieties available for sale through Beacon: A Hill of Beans. Photo by Andrea Parrish-Geyer via Flickr/Creative Commons. If you wander over to El Centro Saturday afternoon to enjoy Cinco de Mayo, be sure to stop by the Beacon: A Hill of Beans booth under the big tent. We’ll have free seeds (purple pod pole beans and green bush beans) along with some advice to get you started. Finally, shop local with our selection of heirloom seeds (see www.beaconahillofbeans.org for varieties). Mother’s Day is May 12, and Father’s Day is June 16 and everyone loves an unexpected token of friendship, beautifully packaged in envelopes designed by Maura Shapley of local Day Moon Press. 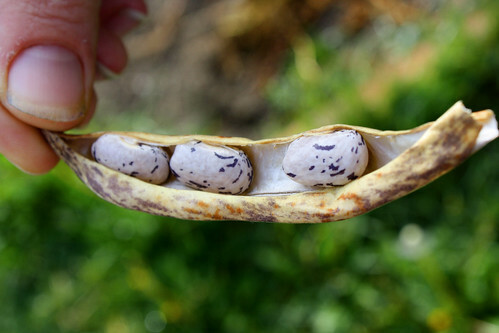 Join us in making Beacon: A Hill of Beans in 2013! Previous PostReacting to the Beacon Food ForestNext PostCan you help find these stolen tools?